Cap comforter Knitted wool expanding cylinder of wool that is pulled over the head and fashioned into a cap. 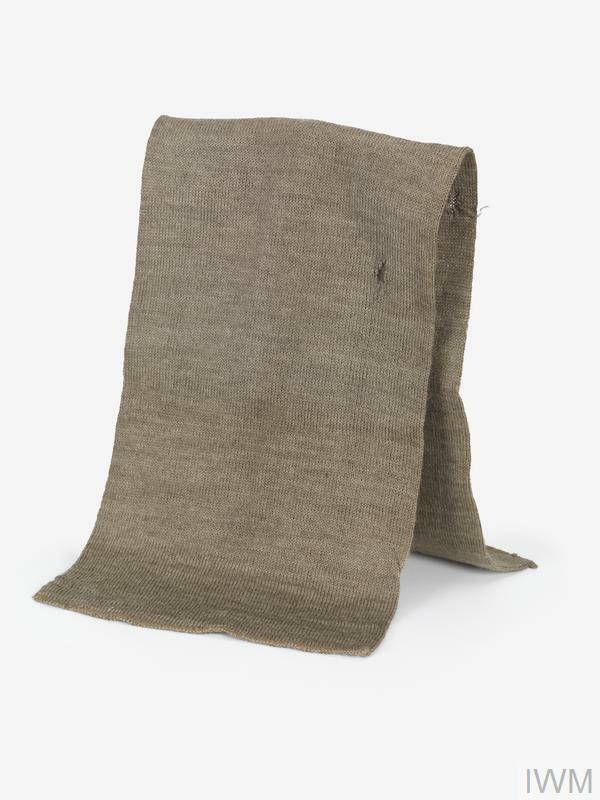 Worn by every British soldier at some time in his career, the cap comforter began as a form of informal working headdress whilst on manual tasks within camp and as a comfortable undress cap on active service since the early 19thCentury. To the unaware it appears to be a short scarf but when turned partially inside out and fitted on the head it becomes a woollen hat. 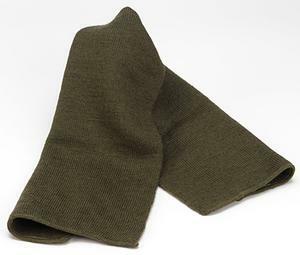 Cap comforters were worn during the First World War as a warm alternative to the service dress cap, the fabric often pulled low over the ears in the cold winter trenches. 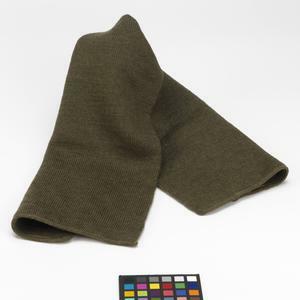 Their casual and non-rigid appearance made them an ideal item for night time trench raids, and later they became synonymous with the apparel of the commando of the Second World War. Void of insignia, the cap comforter was practical in every sense and could be stowed without fear of creasing in any pocket or pack.